What is Bala Vihar ? Chinmaya Mission’s Bala Vihar is a cultural & spiritual value-based education program for students ages four to seventeen, striving to create balanced and integrated individuals, positively contributing to the society. Unleash every child’s infinite potential and capacity. Chinmaya Mission’s Bala Vihar program rests upon the above assertion. The program is designed to channel energy; enthusiasm and curiosity of a child’s young & pliable mind in the right direction to help the child develop a strong character, identity & pride in his/her cultural roots such that he/she can relate with ease to any person or situation. 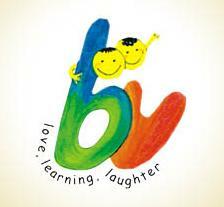 The motto of Bala Vihar is “Love, Learning & Laughter”. Our trained sevaks & sevikas impart knowledge in a safe, loving & fun environment through various different activities that tap into multiple intelligences for effective learning such as games, stories, drama, music, arts and crafts, discussions, and hands-on class projects. How does Bala Vihar work ? Starting the 1st Sunday after Labour Day in September our Bala Vihar session will commence with weekly classes for 1.5 hours taught by trained sevaks & sevikas. Bala Vihar is organized into different levels based upon a child’s age & comprehension. Each level has a primary teacher & an assisting teacher and upto 10 students. What will Bala Vihar Students learn ? How will Bala Vihar students benefit? What are the responsibilities of Parents? Bala Vihar is NOT a child drop-off or child minding service. Participation by a parent instead of parental sermon is likely to develop the importance of Bala Vihar in your child. Keeping this in mind we have a parallel, adult study group allowing the whole family to grow together. Participation in the adult study group by parents is STRONGLY suggested. How can I enrol my child in Bala Vihar? What would be the topic for Adult Study Discussion group? We would be studying various vedantic texts.